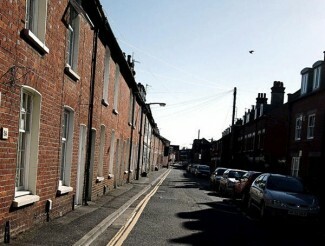 Greencroft Street runs from Bourne Hill to Winchester Street. 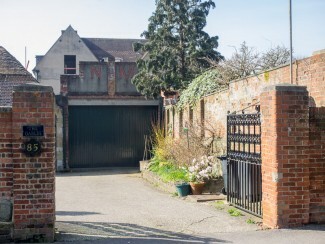 It is a street of two halves, with the northern part having the leafy open space of the Greencroft on one side and an eclectic mix of buildings on the other, while the southern half runs between two rows of terraced housing. Nowadays it is a fairly quiet residential street, with one or two businesses tucked in here and there. It is, sadly, cluttered with parked vehicles, although the actual movement of traffic along the street is fairly light. It was not always so. In the past Greencroft Street was a noisy, bustling place full of human activity. It has been a residential street at least since the 1400’s, when it was known as Melmonger Street, and there has always been business conducted too. The houses have been replaced a number of times since then. Many former residents recall that the street was full of families, many related. In fine weather neighbours would take chairs and sit outside on the pavement, and talk seemingly for hours. Michael Winterman, looking back at his childhood days recalls the atmosphere of the time, “There were always people coming and going, at high day and Christmas Day, everyone came to see mum, so they saw us and we saw them, and it was a lovely time and of course, you were living in a street where there was just a total abundance of families like ours, every house had three or four children in it, and so you spilled out onto the street and you met other children in the street, you played games, in the street or in the Greencroft locally, and you made some really superb friends. But there was a real community you know”. 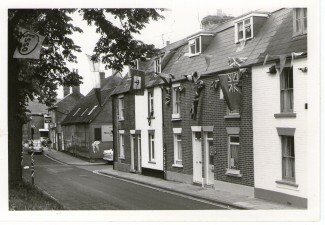 Many former residents have happy memories of the street parties and celebrations that were held for the Coronation of Elizabeth II in 1953. You can read more about Coronation celebrations here. Michael Winterman also mentions the coal man, the weekly bath, racing trolleys in the street and on the Greencroft, and neighbours singing carols in Greencroft Street. “There was almost a competition to have the best trolley in the street and we would rush around Greencroft Street and Salt Lane and St Edmund’s Church Street and back up Winchester Street and go right round this block to see who could go round the fastest”. What were the homes like in the 1940’s to ‘60’s? “In Greencroft Street we had … a front room, a middle room and the middle room just had the cooker in it and the old fashioned fire place which you stoked up and it had its own oven; and then the back door just opened out onto a yard with a sink and a tap with a corrugated bit and we used to wash out there and everything, well except when it was iced up. And … then you went up four steps up to the top of the garden and there was the loo at the top of the garden, and … even when we were children on a cold wet night we would just get our coats, open the door and go up the garden to the loo without even thinking about it”. “Next to the Methodist Church was the Salisbury Timber Company and there was a just a high noise all the time…it was like a whirring noise until they closed at night. And it was just part of our life. But the most amazing thing was we had open fires and as children used to go over and ferret about under all these big machines and pick up all the bits of off-cuts and wood and rubbish, take it home for the fire, which was really very, very dangerous but you wouldn’t be allowed to do it now”. “At the end of Greencroft Street there was actually a whole row of, well they were called doss houses. The entrance went in from Winchester Street … it was a whole row of doss house, they were just single little rooms. And people could just spend one night there and then go on their way. And they were very, very historic, very old. I don’t know when they were demolished”. 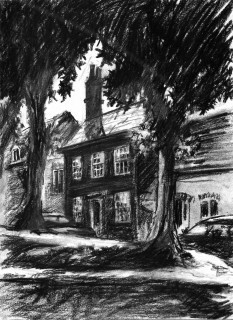 Click here for more information on The Barley Mow. Opposite the Greencroft was a business called Nelson Morris. “And just along the street there was Nelson Morris and they used to have this great place where there were always horses coming there and I didn’t realise as a small boy that they used to sort of be licensed horse slaughterers…and if a horse died they would take this horse away and I used to think, how kind, they’re sort of looking after this horse but they used to actually chop them up in the end and they used to have these great freezers in this place…and I always remember this, people used to go and get their dog meat along the street at Nelson Morris’ yard and they used to put it in a big pot and boil it and cook this meat and I remember as a small boy this acrid smell that used to come out of some houses of this meat cooking”. (Michael Winterman). This building is still there, with NM over the gables of the garage. This features in a number of recollections, as either a horse dealer, or knacker of horses. There was apparently an abattoir at the back. 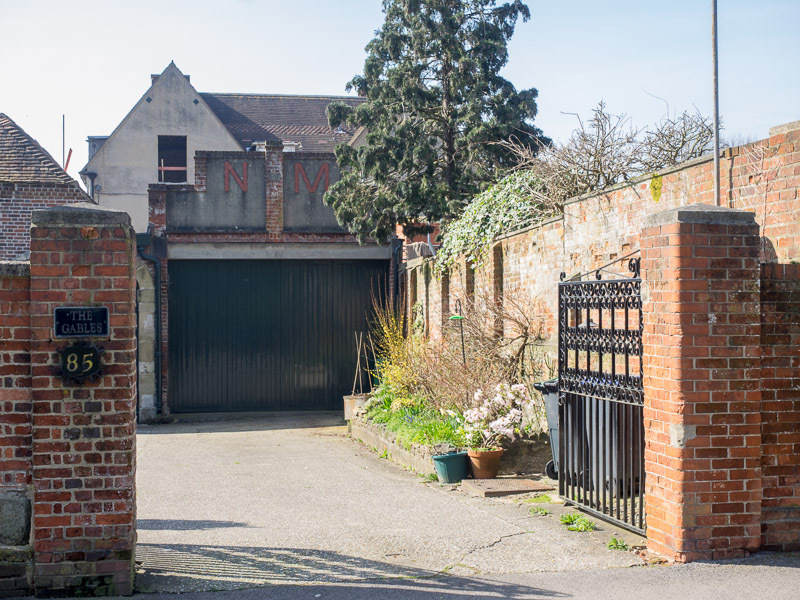 The family was obviously quite entrepreneurial, owning a number of houses in Greencroft Street, and turning the premises into a garage after horses were superseded by the motor car. The Nelson Morris family lived in the gables above the garage on Greencroft Street. Other businesses remembered on Greencroft Street include a billiard maker, Mr Small; Actons Coachworks; and mobile vendors who plied their trade from small carts. And then came the car! “People think it’s busy now but remember Winchester Street was two way and all the traffic coming from London or down the A30 then, had to go right across, like by the Greencroft, past the top of Winchester Street, Milford Street and it turned right at St Anns Street so anything coming from London and going to Bournemouth went all that way down St Anns Street so everything came through”. “It was on the main route between London, Southampton and The Coast and great jams used to build up … and in fact in the latter years during the summer you sometimes had to climb over the bumpers of cars to get to the other side”. These recollections of Greencroft Street are only a few of the many that were recorded for the Milford Street Bridge Project. Do you have any to share? Greencroft Street and the Greencroft are both featured in the Memory Walk; click here for details. My dad Francis Harry Acton and his brother Charlie had the coach building works on both sides of green croft St and their sister Naomi used to do the office work. I remember Nelson Morris along the road but as a child I didn’t know that they used to slaughter animals there! I used to spend many happy hours playing on the green and also the park opposite by Bourne hill.